RE/MAX On the River was founded in 1998 by Sharon Cronin and Paul Kyte, two seasoned real estate brokers looking to combine a leading global brand with a hyper-local presence. Their impressive sales experience and market knowledge, combined with the power of RE/MAX, has made us the market leader in Greater Newburyport for the past 18 years. 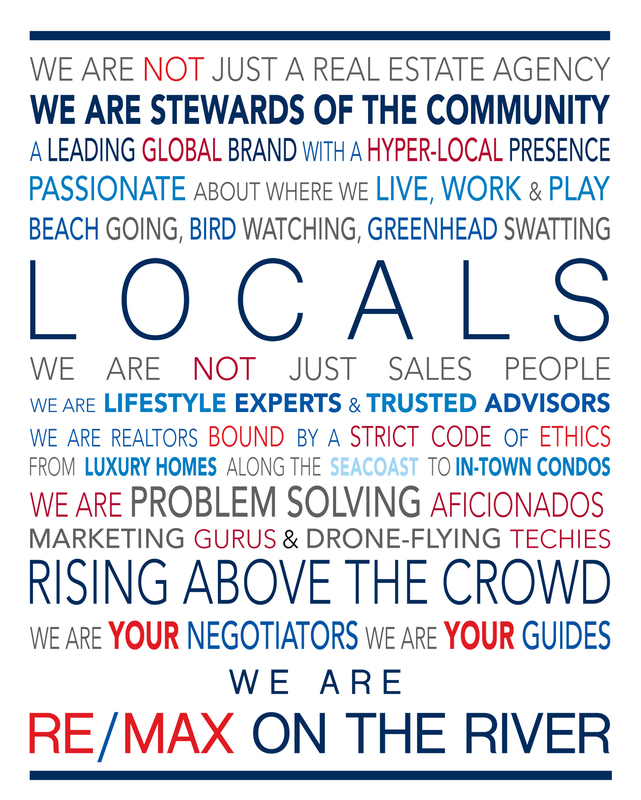 With 50+ REALTOR® professionals, offices in Newburyport, Amesbury and Middleton, and an outstanding support staff, RE/MAX On the River is committed to providing our clients with superior service and measurable results. Our agents are full time, highly productive professionals with a progressive approach to their individual businesses. We provide brand driven marketing, strong leadership, dynamic training, cutting edge technology and a skilled support structure to help our agents achieve their goals. 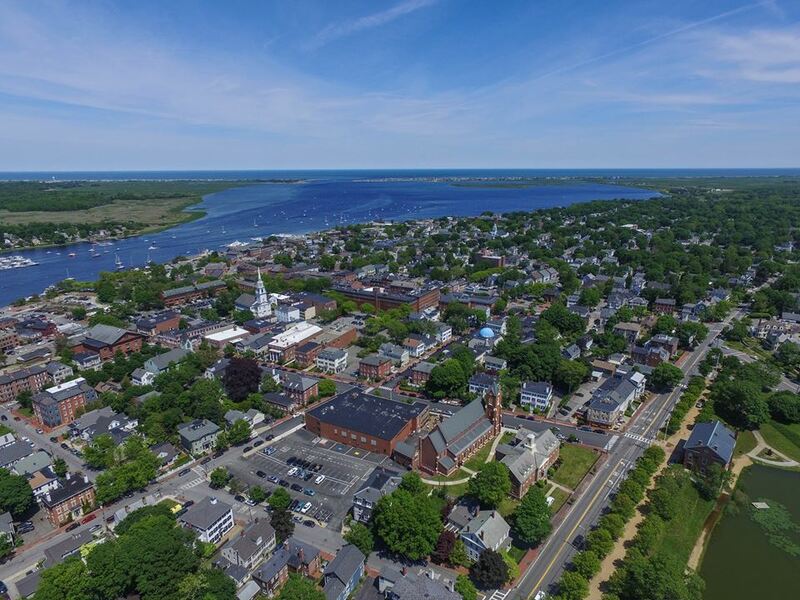 Our main office at 11 Market Square is located in the heart of downtown Newburyport. 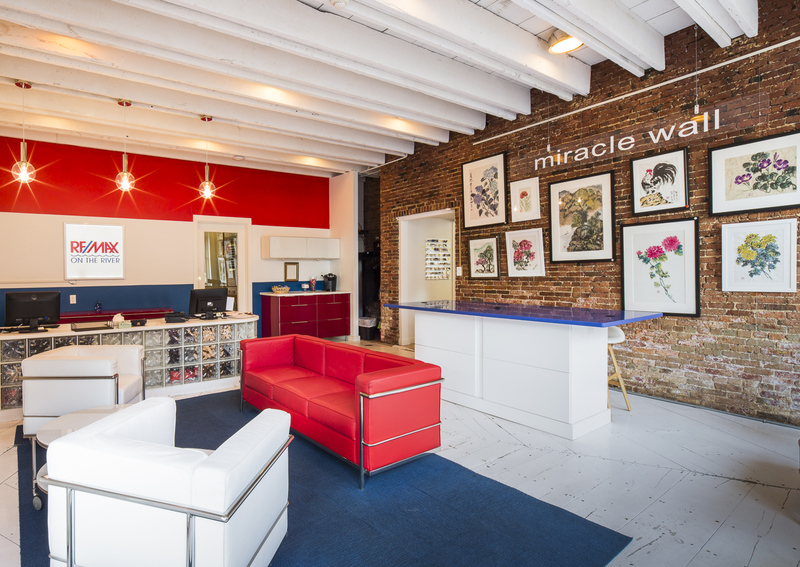 The café-style setting includes a tech-bar and our “Miracle Wall” which displays the works of local artists who donate a portion of their sale proceeds to the Children’s Miracle Network. The setting is designed to engage the public and promote the waterfront lifestyle by taking advantage of the high pedestrian traffic in this thriving seaport destination. We pride ourselves on being innovators & trend setters in our industry. RE/MAX On the River was the first local office to go paperless with online document handling and transaction management. We introduced video to our on-line marketing before anyone else in the area. The advantage to our clients is greater exposure and increased interest for their listings, as well as quicker, smoother transactions. Deciding to sell or buy a home is a big step. Make sure it’s a step in the right direction by choosing the person best qualified to handle your real estate needs: a RE/MAX On the River Sales Associate. RE/MAX On the River qualified for the REAL Trends 500! RE/MAX On the River was named an “Up & Comer” by Real Trends for having 623 transactions in 2018! 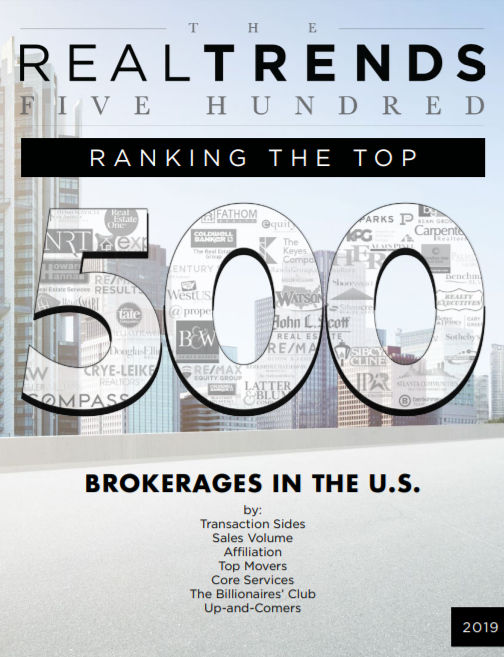 The REAL Trends 500, now in its 33rd year, remains the undisputed leading report ranking the performance of the top residential real estate brokerage firms. Firms are ranked by both transaction sides and sales volume. Due to the requirement that all information be independently verified, the REAL Trends 500 remains the trusted source for information about the performance of these firms. Over 100,000 agents in nearly 100 countries, a greater worldwide presence than any other real estate brand.